Last night I went on a scouting mission. I’m looking for a location for an upcoming project. The Creative Director floated this top-of-Lombard-Street idea. 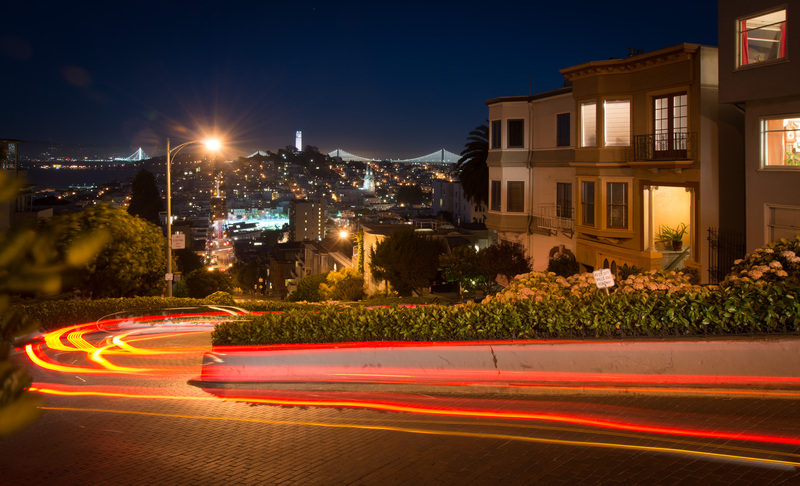 I’m certainly not the first to make this shot, but I was surprised at how easy it was to grab this 30-second time exposure on a cold and windy summer night in San Francisco. Next time I’ll bring a slingshot so I can knock out that dang street light. I kind of like the street light. You’ve been busy, haven’t you?